Santa Cruz County has an interesting geography of swampy sloughs running through coastal hills. 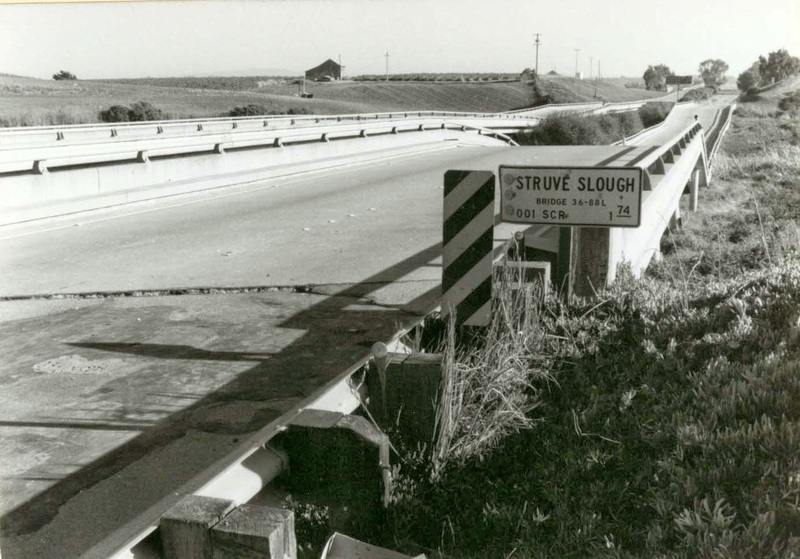 It's also a highly seismic area that sustained a lot of damage during the 1989 Loma Prieta Earthquake. 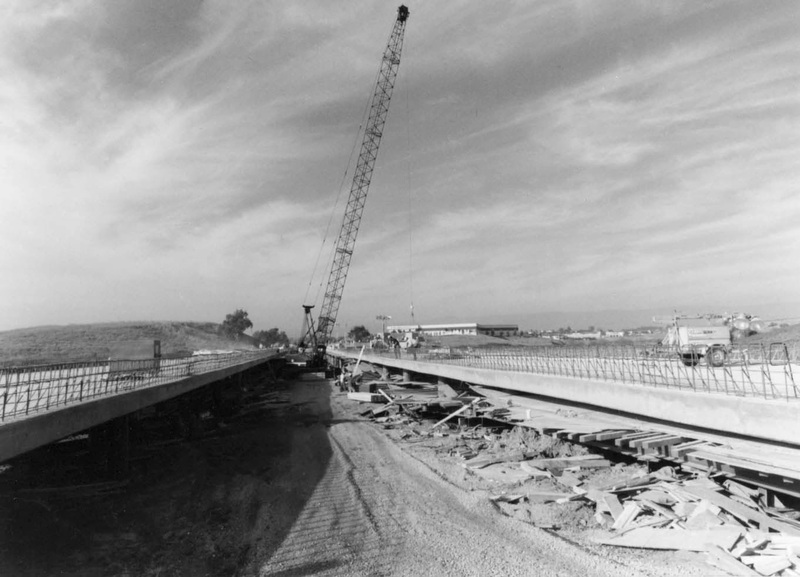 The Struve Slough Bridges (36 0088L/R) are 21 span 'T' girder bridges on pile extensions. During the earthquake the swampy soil was so highly excited by the shaking that the top of the pile extensions were dragged out the bent caps and punctured the deck. 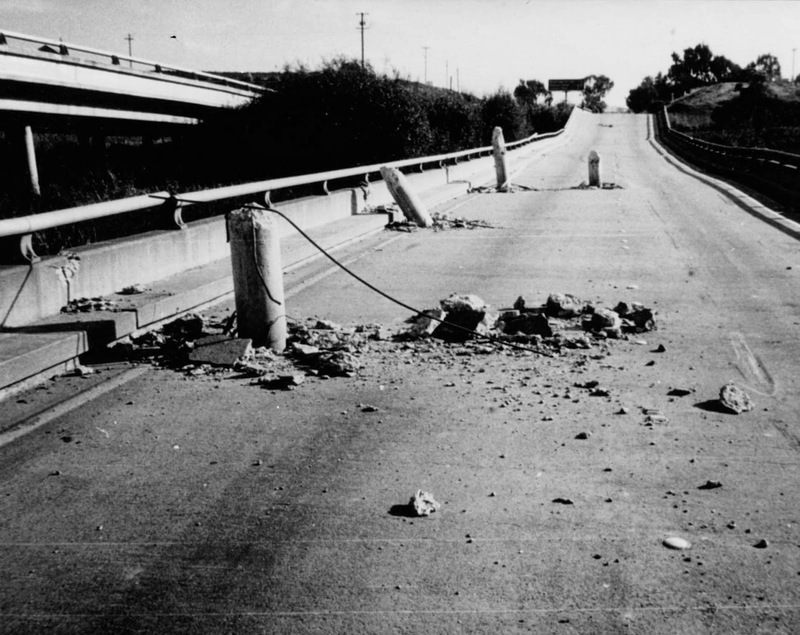 The bridge replacement was Caltrans first experiment with incentive/disincentive contracts where contractors bid on how many days it would take to rebuild the bridges. The job was completed in 55 days, 35 days earlier than expected and the contractor earned an additional $30,000 for every day they saved or an extra $1 million for early completion. Santa Cruz County, California Bridges: State Route 1 Bridges across Struve Slough by Mark Yashinsky is licensed under a Creative Commons Attribution-NonCommercial-NoDerivatives 4.0 International License.